The rat as an animal totem has a dubious reputation in most cultures. In Christianity the rat has been identified as a herald of evil, no doubt due to its association with the plague. In Egypt it is occasionally revered as a deity, and is associated with destructive behavior and activities. Outside of mythology, it is often seen as a symbol of filth and disease. Conversely the Chinese see the rat as a symbol of industry, and in fact is one of the animals on the Chinese Zodiac, as those familiar with that tradition can attest. In the Hindu faith the rat seems to ride the fence, capable of housing a powerful demon, or being a humble transport of the elephant god Ganesha. Even the Romans saw the rat as symbolism of prosperity and good luck. But the rat is also known to be a creature of great intelligence, being used to understand the human mind through its adaptability to problem solving puzzles. It is able to survive in some of the least habitable environments on earth, and as heralds of wisdom. After all, we know that when the rats are abandoning ship, it’s time to follow suit! It is its own special wisdom that Rat brings us. Rat brings us the wisdom of being conservative, to not waste anything, and to be careful with what resources we have stored. Rat meaning in symbolism shows being clever, solving problems with adroit intelligence, even in the face of the most difficult challenges. He knows that sometimes the best solution is not to barrel through the obvious answer, but to slip between the cracks of the problem so that progress towards the actual goal may continue. It is also known that Rat is incredibly adaptable, in the face of adversity, he will always find a way to survive, even when the odds are strongly stacked against him. 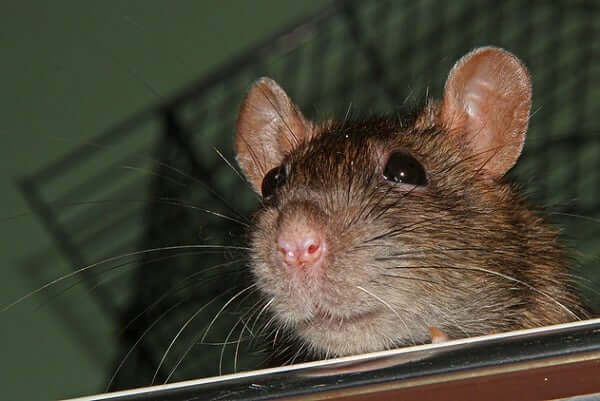 If your life is experiencing any form of toxicity, whether in your physical environment, or brought on you by unpleasant people and situations, Rat is a valuable companion to seeing your way through it. The Rat as an animal totem is drawn to those who are mentally dexterous, are willing and able to adapt to situations to find good solutions, and know the value of the resources they have at hand, being careful not to be wasteful with them.